Sometimes you want to use the same material on another object and only make a small change to it. 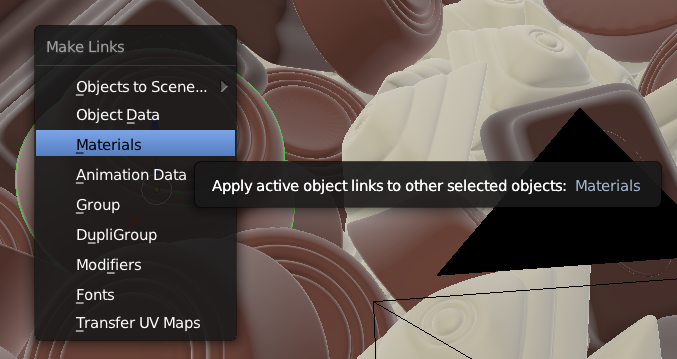 Rather than this change affecting all linked objects, we need a new material with all the settings of the old material. 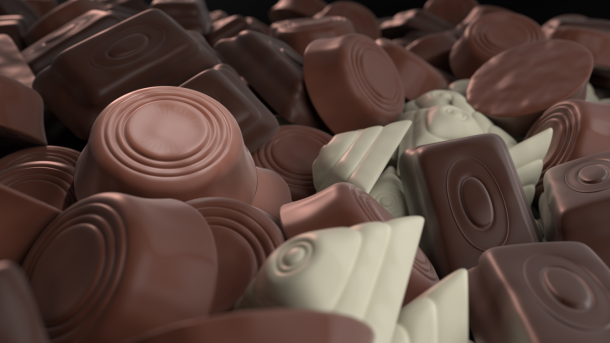 For example, in the above image I’ve used three chocolate shaders. They were all the same, except for the colour of the chocolate. I started with milk chocolate, then changed the colour for the dark and white chocolates. There is an easy way to do this in Blender, albeit not entirely obvious at first sight. Let me show you how to copy and paste materials in this article. Head over to the Materials panel in the Properties Palette. It’s that little red round icon next to the Texture icon. I have a material setup already, so I’ll select it in the slot at the top (blue in the screenshot above). To copy this material, or paste another one into this slot, take a look at the little dark triangle that’s facing down, underneath the plus and minus icons. This is called the Specials Menu, and clicking it gives us exactly the options that we want. Select Copy Material and you have all the settings copied to the clipboard. 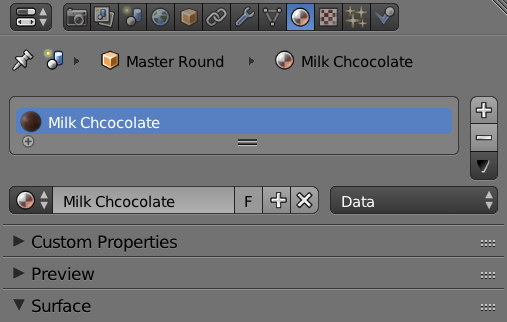 To paste this material to another object, setup a new material on this object first, then select the above specials menu again and simply paste it. Note that without an existing material, this menu won’t come up. If you would like to apply the same material you’ve setup on one object to several others, there’s no need to copy you material several hundred times. That would be a waste of time and energy. Instead, we can link a material to several objects. Select all objects that you’d like to apply your material to, then shift-select the object with the applied material last. This makes it the active object. Now hit CTRL + L to bring up the Make Links menu. You can also find it under Object – Make Links. Select Materials and the material from the active object is applied to all other selected objects. Many Thanks, Jay. Very useful. Perfect explanation, easy to follow. Good job! Thank you.